You should see regular health check up as a key to good health because the people who are healthy and maintain this good health are those that take deliberate steps to make it possible. Good health is hardly a product of negligence, just like an untidy room – the body too will eventually be filled with unwanted junks if not properly taken care of. Some people do not joke with their cars, they rush to the mechanic to get it fixed whenever they hear a strange noise and the engine oil is changed even before it is due, they don’t do this just because they have the money to spend on the car, but because they know the implication of not carrying out prompt and adequate maintenance on the car. This is the same thing that happens to the body, which is even more important and deserves far better attention than an automobile. At every instance, the body is constantly carrying out a large number of metabolic activities in order to sustain life, these various processes range from respiration, digestion, blood circulation, muscle contractions, hormonal functions and more. All of these are happening even without our awareness and all round the clock from when we are walking, talking or even while sleeping. This makes the human body to be the most complicated living system. Apart from each of these processes working proper, there also needs to be a seamless connection among them as timing is vital. If any of these processes go out of sync, it could lead to various diseases. A preventive health check up will quickly detect any of such problems in the body so that prompt treatment measures are taken to prevent the issue from compounding into a more complicated illness or even death. Another important thing that a wellness health check up does is to show symptoms of certain nutritional deficiencies due to an unbalanced diet, this can help in changing our diet plans and making decisions on the specific nutritional supplements that you require. The problem with most health check-up procedures is that they are mostly targeted for diagnostic purposes of diseases such as high blood pressure, diabetes, malaria, typhoid, and STDs. It is usually difficult and expensive to do a total body checkup. But modern technology has provided us with an excellent way to accomplish this using a portable machine known as the quantum analyzer. 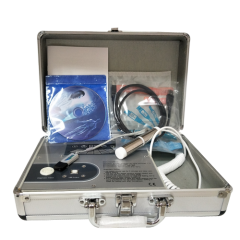 This innovative machine provides a full and quick body health check-up without the need for going out to meet with a doctor. By just sitting in your house, the whole check up is completed within 5 minutes and new versions of the analyzer provide check-up scans of about 41 different organs in the body. Also, the quantum analyzer is very easy to use as all you need is a little training to be using it all by yourself. Even without the machine, check-up can still be done for a very small fee by a professional.